Supporting the PTA has never been easier! Getting started is only a click away. You can support the PTA when you shop on Amazon! 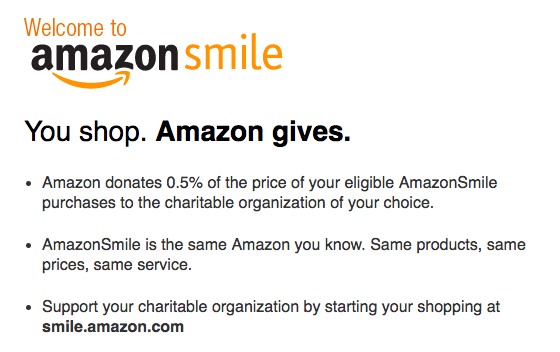 This is at no cost to you and all you need to do is to select the school’s PTA as your choice charity and remember to use the smile.amazon.com site every time you shop. This is only done once and Amazon will remember your selection. After you do the setup above, each time you shop on Amazon, use the site address: smile.amazon.com (rather than amazon.com). You may want to bookmark this site for convenience. Each time you make a purchase on smile.amazon.com the Amazon Smile Foundation will donate 0.5% of the purchase price to the MDS PTA. It is that easy!